Home News Altcoin News Ripple (XRP) | Latest Ripple News That is Making Waves! Crypto enthusiasts woke up Monday to copious amounts of Ripple news. 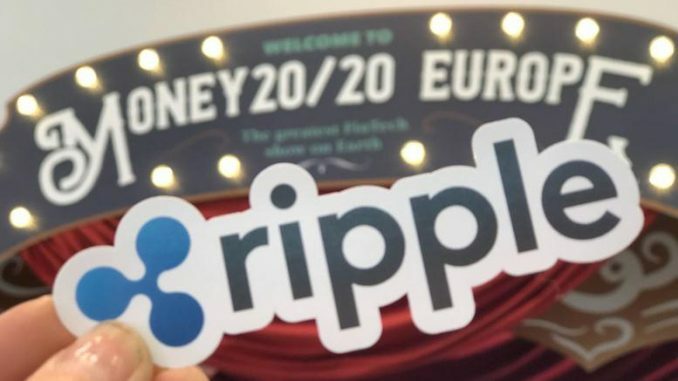 Two Ripple (XRP) headlines have attracted the crypto community today, with the first being the news that Japanese SBI Holdings will be launching a crypto exchange that focuses on trading XRP. Let’s look at these two announcements in more detail. On Monday, SBI Holdings announced that it will be launching a crypto exchange. The crypto exchange will be called VCTRADE. Many have been waiting for this day for a while, considering SBI Holdings initially announced the crypto exchange back in 2016. Right now, however, the SBI Holdings crypto exchange is only going to focus on trading XRP. That said, the Japan-based financial institution has earmarked support for BCH. Perhaps this will happen once the SBI Holdings crypto exchange gets some crypto trading experience under its belt. Many were excited about the news, particularly the XRP community. SBI Holdings, one of the largest financial companies in Japan, has launched a cryptocurrency exchange. They are also investors in many financial services companies like Paytm Mall, eToro, and Dayli Financial. This is another piece of Ripple news circulating around and making waves. On Monday, it was announced that the company donated $50 million to 17 different universities. If you’re wondering if this donation is in XRP, we have the answer to that: it’s not. The $50M will be paid in dollars. The point of the donation is so that universities can speed up their adoption of blockchain technology. According to the company’s SVP of business operations, there is a high demand for jobs in blockchain, which means we need to be educating those that will be applying for these jobs. After all, it won’t be Baby Boomers applying for these jobs. 17 schools have entered into a partnership with the company, including MIT and the University of North Carolina. Meanwhile, XRP is currently selling for $0.65. This puts XRP down 1.92% in the past twenty-four hours. This is not the first poor trading day the cryptocurrency has had this year. In fact, XRP is down more than 70% YTD. Were you excited about any of these announcements? 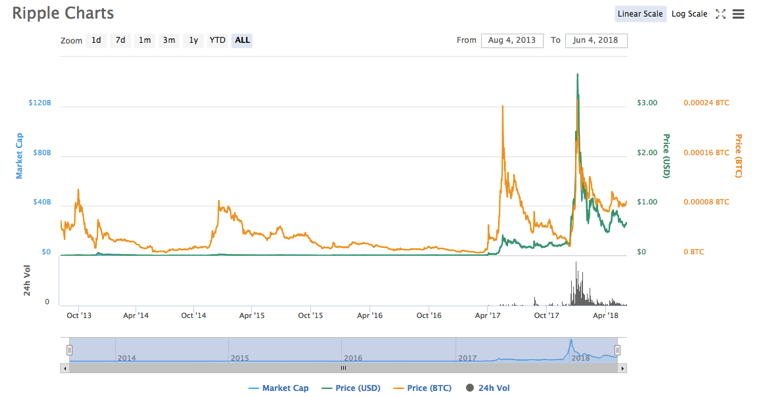 Or are you focusing more on XRP and its price movement?